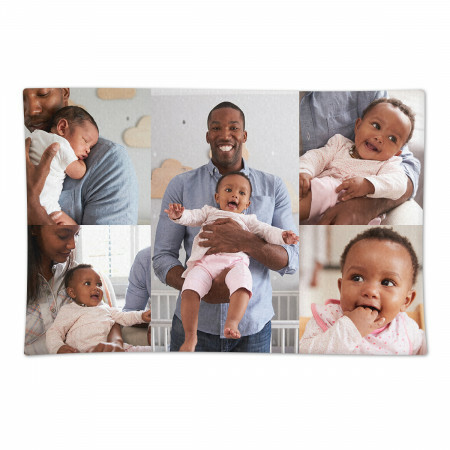 Snuggle up with your favourite photo printed onto a photo blanket. Remember a warmer climate whilst wrapped up in a large photo blanket with your favourite holiday snap printed onto the front. This blanket measures 120cm x 90cm. The fleece is 100% polyester, anti-pill & machine washable to 30 degrees.